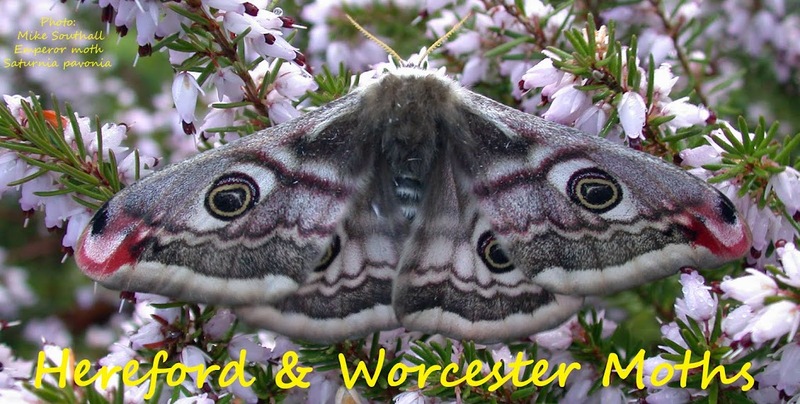 Hereford and Worcester Moths: Elachistas etc. A morning spent poking about Windmill Hill WWT reserve and Broadway wood with visiting 'early stage specialist' Ben Smart proved to be quite productive. Having found our two main targets on the roadside bank at Windmill Hill, Stephensia brunnichella and Elachista gleichenella on Wild Basil and Glaucous Sedge respectively, we wondered up onto the reserve proper and found cases Coleophora anatipennella feeding on the Blackthorn and C. glaucicolella on Rose. Ben also found me Helcystogramma rufescens which I was very happy about because I have never found or photographed this exotic looking larva before. Moving on to Broadway wood we found mines of Elachista humilis and adscitella before checking the Wild Raspberry for Lampronia corticella. I had been to the site 10 days or so ago and found a few withered shoots like last year but now they seem to be less visible and we found only one occupied shoot. 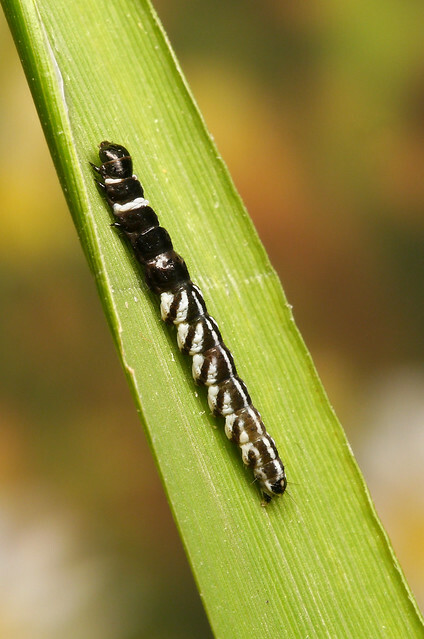 The progress of plants and moth larvae appear to be a couple of weeks ahead compared to last year. 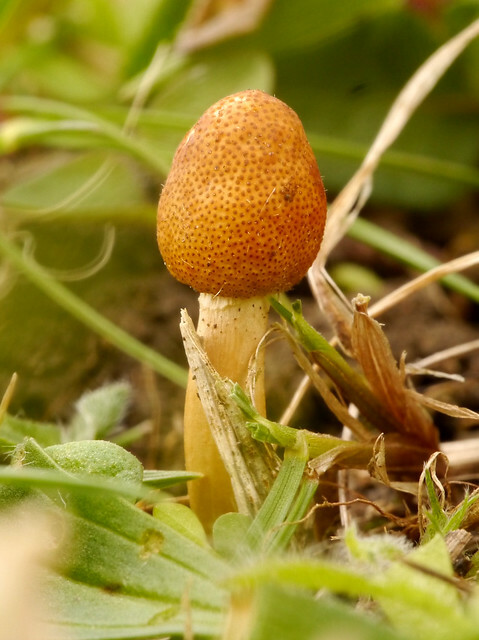 A few days earlier I happened to be walking, again on Windmill Hill, when I spotted a small toadstool in the still short turf by the side of the path. On closer inspection it looked very like a species that I had seen in an email from Rosemary Winnall the previous day. 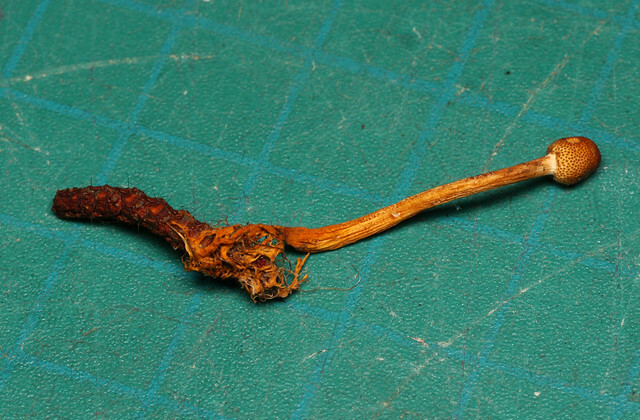 The species is Ophiocordyceps gracilis which is unusual in its habits and may be of interest. 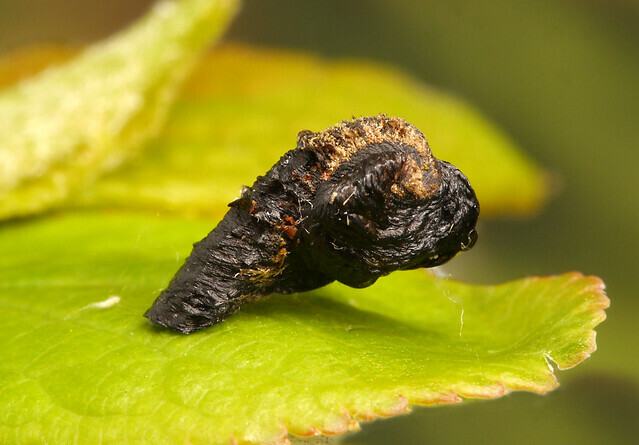 This fungus attacks the larvae of Swift moths, eventually overwhelming them before producing a fruiting body directly from the mummified remains of the caterpillar. Since they are small, spring fruiting and short lived they are seldom spotted. That's a neat looking little fungus!